Boston fern is a lush, old-fashioned plant valued for its lacy, bright green foliage. 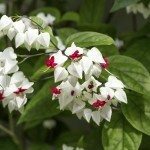 When grown indoors, this easy-care plant provides an air of elegance and style. But can your grow Boston fern outdoors? Read on to find out. Can a Boston Fern be Grown Outside? Although Boston fern is often grown as a houseplant, it thrives outdoors in warm, humid climates in USDA zones 9-11. With adequate moisture, the plant may tolerate drier climates. Frost may kill the fern to the ground, but it will rebound in spring. Boston fern in gardens require partial to full shade, or dappled, filtered light. 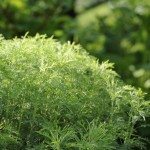 This makes the plant a good choice for shady, damp areas, providing a spark of bright color where few other plants will grow. The plant prefers rich, organic soil. If your garden soil is poor, dig in a few inches of leaf mulch, compost or finely chopped bark. Boston fern outdoors requires plenty of water and isn’t drought-tolerant. Provide enough water to keep the soil consistently moist, but never allow the soil to remain soggy or waterlogged. If you live in a dry climate, mist the plant lightly on hot days. 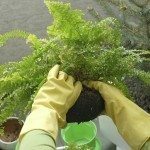 If your outdoor Boston fern is growing in a container, it will probably need water every day during the summer. Keep a close eye on the plant. On hot days, the fern may require a second watering. Small amounts of fertilizer are best for Boston fern, which is a light feeder. If you notice the leaves are pale or yellowish, this is a good indication that the plant may lack nutrients. Otherwise, feed the plant occasionally throughout the growing season, using a dilute mixture of a regular, water-soluble fertilizer. Alternatively, provide a slow-release fertilizer in spring, and again six to eight weeks later. Although Boston ferns are relatively pest-resistant, they are susceptible to damage by slugs. If the slug infestation is light, pick the pests off the plant early in the morning or in the evening and drop them in a bucket of soapy water. You can also try non-toxic methods to discourage the pests. 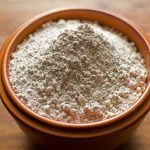 For example, sprinkle a coarse substance such as dry eggshells, coffee grounds or diatomaceous earth around the slug; the sharp substance abrades their slimy outer coating. Use slug pellets if absolutely necessary. Read the label carefully, as only a light application is required. Keep the chemicals out of reach of children and pets. Non-toxic slug pellets are also available.